“It’s almost like an act of stolen valor. They [are] basically taking people’s patriotism and taking advantage of it,” said Alvarez. AUSTIN (KXAN) — Neighbors and police are raising concerns about a group claiming to raise money in order to send care packages to military members deployed overseas. “Just the fact that we have somebody out here that’s portraying that they want to do that and that’s preying on the heart strings of our community is just unacceptable,” said Leander Police Chief Greg Minton. Callers in Leander, Texas reported someone soliciting donations earlier this month for a group called United Soldier Outreach. Minton noticed a few red flags. First, the organization was willing to accept cash. They also seemed willing to break city rules. Minton says Leander requires a permit for solicitors and the city does not allow going door-to-door on a Sunday. He says United Soldier Outreach didn’t have a permit and they were soliciting on a Sunday. Leander is hardly the only community raising concerns about United Soldier Outreach. Media in the Houston and San Antonio areas also found neighbors and police reporting similar interactions. Now, potential donors report seeing them in Steiner Ranch, Leander, Cedar Park, Georgetown and Wells Branch. “First Lieutenant Lopes, What are you doing on my flight?" HOUSTON - Crime Stoppers and the Houston Police Department's Homicide Division held a press conference Friday morning to ask the public's help in identifying the suspect who shot and killed a Domino's Pizza delivery driver, who was also an Army veteran. Paul Hillick Jr. was shot and killed on March 17, less than a mile from Domino's. Police said Hillick had just completed his pizza delivery route around 11 p.m. and was driving west on Court Road, between Manor Park and South Post Oak, when he was shot multiple times through his front driver side window. Hillick's vehicle struck a mailbox, then came to a stop. He was pronounced dead at the scene. “The Marines broke my son. Now I’d like them to fix him,” says Maureen Valenzi. SEWICKLEY (KDKA) — The mother of a U.S. Marine Corps veteran in an emergency situation reached out to KDKA’s Get Marty. 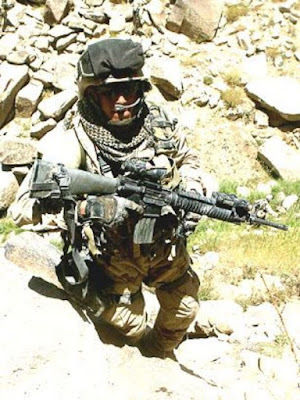 Ian Valenzi served two tours of combat duty in Afghanistan. The Sewickley native returned home with Post-Traumatic Stress Disorder and a heroin addiction. “I was in trouble. I was in a bad place. I could have hurt myself,” says Ian. Ian tried to get help at the VA and became extremely frustrated. He sat in the waiting area for 14 hours. “I had enough,” Ian said. KDKA’S Marty Griffin reached out to the director of the VA who got Ian immediate help. In fact, Ian is now in a specialized treatment program at the VA. He will be there four and a half months. “They saved my life. If I didn’t come here, I may have been dead,” says Ian. Senator John McCain Wants Veterans To Go Away--From VA? You could hear the echo inside the brain of John McCain when he came up with his latest attempt to send veterans away from the care and services this nation was supposed to deliver to veterans within the VA. After all is said and not done to fix the VA, McCain's answer has always been the same. Complain about it not working then do every possible to prove he's right so he can just kill it off. Has it ever dawned on this man that as a career politician he is responsible for all the decades of leaving veterans to suffer? Bet it has but he, like all the others, won't admit it. He'd have to be pretty damn stupid to not know that. As usual McCain has a plan to take care of veterans, or so he says, however veterans noticed what he isn't saying. Sending veterans into the for profit healthcare has been his plan all along. He used to be ashamed of saying that. This is from 2008 when McCain ran for the Presidency and continued to run away from his record of failing veterans. Yesterday, Sen. John McCain promoted his veterans private health care “plastic card” in a speech to the American Legion. Though he insisted the “card is not intended to either replace the VA or privatize veterans’ health care,” veterans groups aren’t buying it. AMVETS, Disabled American Veterans, Paralyzed Veterans of America, and the Veterans of Foreign Wars all argue McCain’s scheme may undermine the VA.
Basically every major veterans group is opposed to it so far, so I think that pretty much says it all. We’ve got to come up with a comprehensive solution to VA health care, and that starts with VA funding. Sen. McCain has consistently voted against expansion of VA funding. So if he says the VA’s not working, it’s in part because he hasn’t funded it properly. … A lot of vets groups are going to push back against the card because it may be on the path toward privatization. So we’ve got to really make the VA as strong as it can be, and that should be our priority. You can also read the bills for veterans McCain voted against on the above link. Just more in a series of efforts to kill off the VA instead of fixing what veterans have suffered with and all too well knowingly recorded within the brains of all veterans and families as we wait for someone with a brain to fix the VA because they care about veterans instead of trying to kill it because they only care about themselves. WASHINGTON — Arizona Sen. John McCain proposed legislation Wednesday to expand and make permanent a program allowing veterans to go anywhere for health care. McCain’s bill, borne of frustration over the slow pace of improvements in the U.S. Department of Veterans Affairs' system, would remove the current restriction that veterans must wait more than 30 days or live more than 40 miles from a VA facility in order to go outside the VA system for care. 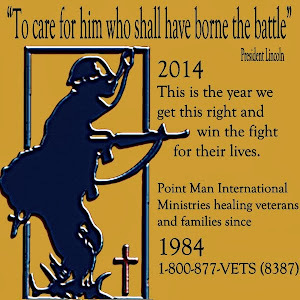 Allow veterans to go to walk-in clinics for minor illnesses. The VA would be required to contract with a national chain of clinics to provide the service. Expand operating hours of VA clinics and pharmacies. Expand telemedicine to allow VA health-care providers in one state to treat veterans in other states. Here's a message for John McCain and all other politicians out there! "I haven't been angry in over 20 months," he said. "It's a pretty amazing feeling. It's like being a year and a half old and seeing everything for the first time." Firefighter Scott Geiselhart, a 20-year veteran, was at his wit's end when he put his most reliable revolver to his head. He was alone, angry, isolated from friends and family, a heavy drug user and tormented by nightmares. When he pulled the trigger, there was only a "click." That was two years ago and to this day he has no idea why the gun didn't fire. That was one of two times he was ready to take his own life. 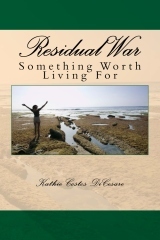 The second time came shortly after he learned that he had post-traumatic stress disorder. 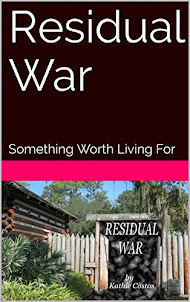 He burst in on his estranged family, manic with the news that the years of abuse he'd doled out wasn't because he was crazy — there was a reason. When they recoiled, he retreated to his auto repair business and phoned a police officer he knew to ask that he explain his condition to his family. The officer said he was coming over to take him to the hospital, then jail. Geiselhart got out his acetylene tanks and an automatic rifle. He wasn't going anywhere. As he waited, he made three phone calls. The first was to a suicide help line; after 12 tries there was no answer. He called another hotline that offered him an appointment 10 days later; he didn't think he'd live that long. His third and last call was to the Share the Load program, where he talked to someone who got it. "Thro' many dangers, toils, and snares, I have already come;'Tis grace hath brought me safe thus far, and grace will lead me home" written in the song Amazing Grace followed by "A life of joy and peace." That is what you can have living as veteran no matter which country you risked your life in because the cause you risked it for was to save the lives of those you were with. The dangers, you knew far too many. 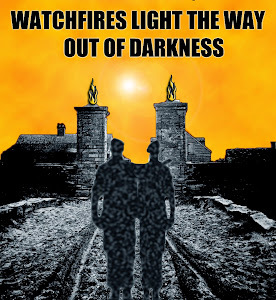 The toils, you were willing to endure again for the sake of those you serve with. 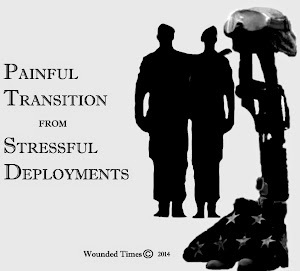 More often than not, veterans speak of the cause of their pain originating during combat yet it was not until they were all back home they allowed themselves to feel it. When asked how they just pushed past all of it, they said others were counting on them to be there for them. That is why the most dangerous times come after combat to the survivors of it. That is the snare you are trapped by and it has a name. 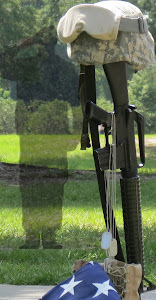 Post Traumatic Stress Disorder, more often called simply PTSD. Grace can lead you closer to really being home than drifting away from those you love. "With the message that forgiveness and redemption are possible regardless of sins committed and that the soul can be delivered from despair through the mercy of God, "Amazing Grace" is one of the most recognizable songs in the English-speaking world." If you were called to be among the number of men and women putting their very lives on the line for the sake of someone else, then you need to understand what that means. If you were tugged to join the few serving the many, then the desire was put into you along with all you needed to do it. 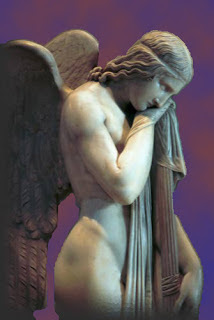 The physical strength and endurance. The courage to react and compassion to take action. Everything you needed to do your "job" was already there. The part that has been kept secret from you is what you need to recover from doing those "jobs" is also within you. He planned for the price you would pay for what you did for others. There are many different causes of PTSD and levels but there are also different types of it. The one we need to focus on now is the one that began all the research into what trauma does to survivors. In this case, you are dealing with something rare because you rare. About 10 of every 100 (or 10%) of women develop PTSD sometime in their lives compared with about 4 of every 100 (or 4%) of men. Learn more about women, trauma and PTSD. 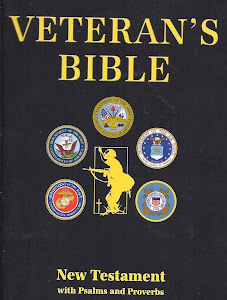 While all generations of veterans came home changed by what they had to face for the sake of others, it was not until WWI when a psychiatrist was embedded with troops to study what it was doing to them but if you read any part of the Bible, you'll also see it written along with ancient accounts of war. The term PTSD began when Vietnam veterans came home and fought for the research and that led to a greater understanding of humans surviving everything else. It is human nature to ask why you lived when others did not. It is yet another snare when you think you should not have survived. When suffering begins to take over the life you have, then you begin to think that surviving is punishment instead of anything else and very far from being blessed by the grace of more days to spend with family, friends and doing what you love to do. Far removed from "a life of joy and peace" you begin to believe that it is all impossible for you but it is possible because it is all within you. 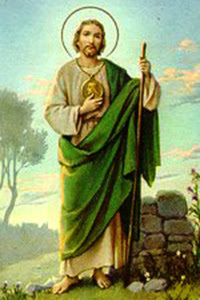 There is nothing you cannot be forgiven for if Jesus forgave the people who nailed Him to the Cross and you also need to know that it is also written there is no greater love than for a man to lay down his life for the sake of his friends but should have added being willing to lay down their lives for the sake of strangers. That is what you were willing to do and there was no evil in that. There is no cure for PTSD but there is limitless healing. You can never go back to the way you were before but no human can go back to the person they were yesterday. The power PTSD had over you a second ago no longer has the same power in this moment and the next is within your power. Your future is in your hands and grace can lead you home to live a better quality of life beginning with this moment. Healing PTSD requires understanding what it is so you can get the rumors out of the way. 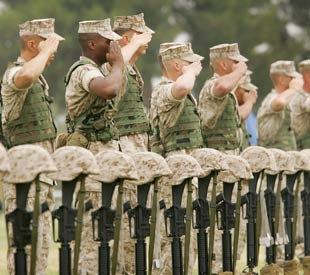 It also requires involving the whole you, mind, body and spirit, since all of you was involved in combat itself. You need psychological help, physical help to teach your body to calm down and react differently as much as you need help spiritually to help your spirit use the power you were given to heal. Time to kick the snares out of your way and live a life of joy and peace. That is what you really need to be made aware of with all the talk about "raising awareness" from others. Nearly a million people, including troops, family members and civilian employees, may have been exposed to volatile organic compounds and other chemicals such as benzene and vinyl chloride in the drinking water at the coastal Marine Corps base, from 1953 until at least 1987, when the water treatment facilities supplying the contaminated water were closed. Two veterans groups are suing the VA in the case of illnesses caused by exposure to contaminated drinking water at Camp Lejeune, North Carolina. The organizations — The Few, The Proud, The Forgotten and Vietnam Veterans of America — filed suit Tuesday for documents related to disability claims and the Veterans Affairs Department's use of subject-matter experts to weigh in on them. The water was tainted by organic solvents and other cancer-causing chemicals from 1953 through 1987. Veteran "Webbie" Needs Lung Transplant, VA Said "No" Medicaid Said "Yes"
"I would have expected a lot more for a soldier who was injured numerous times, I mean he was blown-up, awarded a purple heart and still would have went back," said Rachel. Jonathan Webster, also known as "Webbie" by his military buddies, has been in a a medically-induced coma after a rare reaction to chemotherapy caused both of his lungs to collapse. "Just so happens he got the raw end of the deal, he got cancer-free but there were repercussions from that," said his sister, Rachel Hafner. 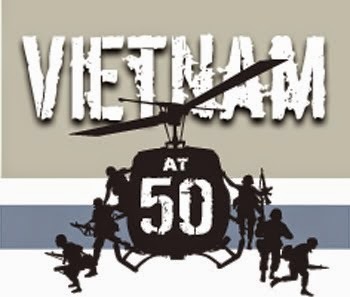 “The United States was in a mess over the Vietnam War and the image of the average Soldier coming back, whenever that person came back, at the American people saw them as baby killers, they were spit upon, and they were very disrespected,” said Keith Jackson, Massachusetts VFW state judge advocate and master of ceremonies for the event. 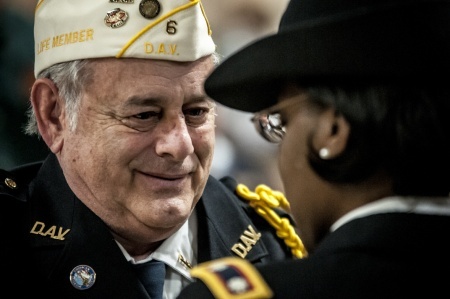 FORT DEVENS, Massachusetts – William Vicini, Senior Vice Commander of the Massachusetts Disabled American Veterans organization, receives a service pin from Fort Devens Garrison Commander, Lt. Col. Charlette K. Woodard, during the Loyalty Day program and 50th anniversary of the end of the Vietnam War, here, April 24, 2016. Loyalty Day is a special day for Americans to reaffirm their loyalty to the United States and to recognize the heritage of American freedom. FORT DEVENS, Massachusetts – Vietnam veterans from several posts of the Massachusetts Veterans of Foreign War and the Disabled American Veterans organizations, along with members of the Fort Devens community and other veteran organizations, joined together for a combined celebration of Loyalty Day and the 50th anniversary of the Vietnam War, here, April 24, 2016. 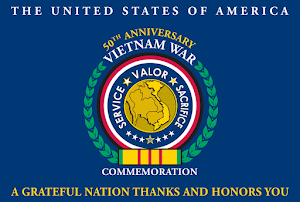 The Vietnam War concluded on April 30, 1975 and Loyalty day is a special day, typically observed annually on May 1 – signifying the day after the conclusion of the war – for Americans to reaffirm their loyalty to the United States and to recognize the heritage of American Freedom. When younger Americans think about the Vietnam War, some see images from movies like Full Metal Jacket, Good Morning Vietnam, or Apocalypse Now, while others only see the black and white images printed in their text books from a time long, long ago. 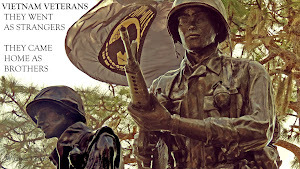 Unlike other wars of the 20th century in which America has fought, such as World War II and the Korean War, which have a quickly dwindling veteran population, those who fought against the communist armies in the jungles of Vietnam are still quite numerous – and extremely proud of their service, despite the hardships they faced when they came home. DA NANG, Vietnam -- A half-century ago, they were on opposite sides of a nation divided over a distant war. Suel Jones fought with the Marines in the jungles near the Demilitarized Zone separating North and South Vietnam. Later, he broke up an antiwar protest in Texas with his fists. Mark Rudd was a Columbia University campus radical turned domestic militant with the Weathermen, battling those he called warmongers by any means necessary. Last month they sat on adjacent bus seats in Da Nang traffic, having formed an unlikely but powerful bond. Jones spoke of rejecting his former self, forging a new path. “What you’re describing is word for word my situation,” Rudd replied. The men had joined a two-week tour of Vietnam sponsored by the antiwar nonprofit Veterans for Peace -- part of a group of a dozen veterans, protesters and others who were just curious about what the country looks like today. The group leaned left (Bernie Sanders would have won a bus straw poll), but individually, the travelers approached Vietnam from strikingly different perspectives. Hogan was one of dozens of people eating in the base's crowded chow hall tent during lunchtime when a suicide bomber disguised as an Iraqi National Guard soldier detonated an explosive vest, killing 22 people and injuring 72 others. Lauren Hogan's burden from her time in the Iraq War is symbolized by the shrapnel she carries in her spine. The bothersome piece of metal has come with her across the country in the decade since she left the Army. It has followed along on her job interviews, on efforts to further her education and during her constant quest to find a permanent, fulfilling home for herself and her two daughters. As a disabled veteran suffering from post-traumatic stress disorder, Hogan's journey is similar to those taken by tens of thousands of other soldiers who have returned from Iraq and Afghanistan. 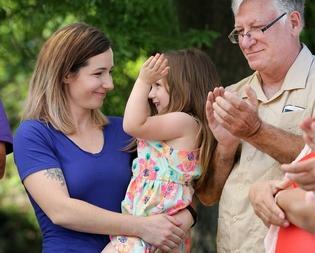 But she and her family are closer to finding solace and a path to a positive future, thanks to a nonprofit that works to help get wounded veterans in reliable homes. Combat no longer involves the Iraq and Afghanistan veteran putting himself in mortal danger. 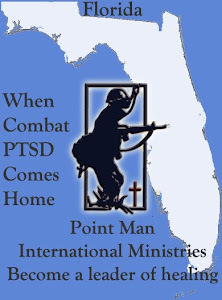 It now reflects the 41-year-old’s daily struggle with post traumatic stress disorder (PTSD). 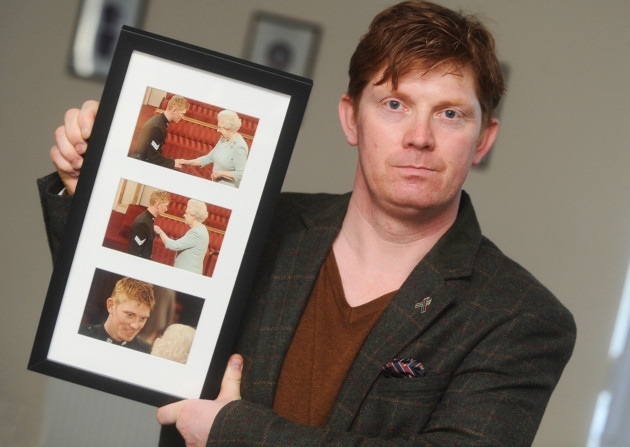 The ex-Royal Irish Regiment Colour Sergeant, who lives in the Woodbridge area with his wife and five-year-old son, served his country for almost 20 years. He was awarded the Military Cross for risking his own life to protect comrades in Iraq. 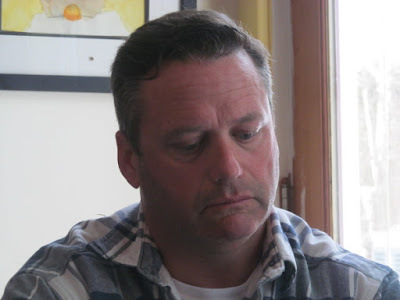 But he feels he, and many others like him, are being treated shamefully by the Ministry of Defence (MoD). Mr Coult is scathing in his condemnation over the help those with PTSD receive. Mentally fragile, they return to civilian life haunted by flashbacks, frayed nerves and financial pressures. For a few it is too much and they take their own lives. Others end up homeless or in prison. Relationships break down. Drugs or alcohol become a source of self-medicating comfort. Mr Coult believes the MoD casts off many veterans too cheaply by giving them a few thousand pounds as an interim payment, with a proviso their cases will be reviewed in two years. AUSTIN (KXAN) — Friends and family are remembering a soldier killed in a hit and run one year ago. Sergeant Derek Pagan was killed while walking along US Highway 183 and Riverside Drive in Southeast Austin last April. Police think the 29-year-old was hit by a driver who kept on going. Tuesday night, his family gathered where the crash happened to honor him. At the time of the crash, Pagan had just re-enlisted in the Army and had been based at Fort Hood for four years. District of Columbia Executive Director of the Mayor's Office of Veterans Affairs Tammi Lambert, left, and Director of the Department of Behavioral Health Tanya A. Royster, right, unveil the headstone of Medal of Honor recipient Joseph B. Noil during a ceremony Friday, April 29, 2016, at St. Elizabeths Hospital Cemetery in Washington, D.C. Noil received the Medal of Honor while serving on USS Powhatan, but his headstone did not recognize his award because of a misprint on his death certificate. 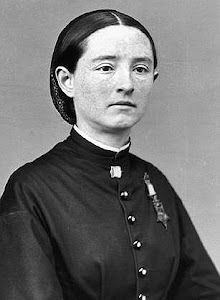 When Joseph Benjamin Noil started to lose his mind, it was agreed that the best place for him was the Government Hospital for the Insane in Washington, D.C. That’s where the Navy sailor went on June 3, 1881. “Paralysis” was the vague diagnosis. Today we might call it post-traumatic stress disorder. Noil did little more than stare into the distance. Living in New York City and working to support their two daughters, Noil’s wife, Sarah Jane, was too poor to visit him, but she wrote the hospital regularly to check on his condition. Joseph Noil was a hero. He joined the Navy in 1864, possibly earlier. On the day after Christmas in 1872, he was aboard the USS Powhatan, a side-wheel steam frigate, off Norfolk. A boatswain named Walton fell from the forecastle into the ice-cold water and was swept under the bow. Upon hearing the cry, “Man overboard!” Noil bolted from below deck, took the end of a rope and leapt into the sea. He caught Walton and held him until a boat came to their rescue. For this gallant conduct, Noil was awarded the Medal of Honor. Noil was unusual for many reasons. He was Canadian. And he was black. During the 11-week siege in early 1968, a single surrounded and cut-off Marine regiment of about 5,000 and their supporting forces stood in defiance of three North Vietnamese Army divisions — about 20,000 troops. They were victorious, but only after 27 deaths, with 19 wounded and one taken prisoner. 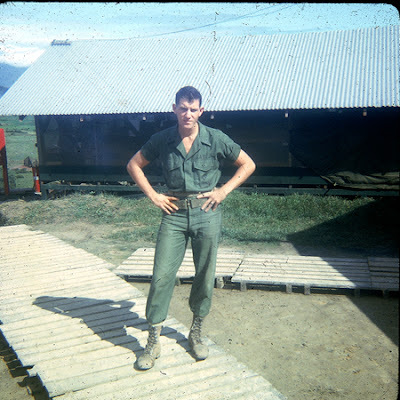 Retired Marine Ken Rodgers poses during the Vietnam War at Khe Sanh in 1968. Rodgers will receive the Ellen Hardin Walworth Founders Medal for Patriotism, the National Society Daughters of the American Revolution's highest award, May 12 in Boise, Idaho. A Marine veteran who turned his company’s harrowing tale from the 77-day siege of Khe Sanh during the Vietnam War into a documentary film will be honored with the National Society Daughters of the American Revolution’s highest award. Rodgers, along with his wife, Betty, directed and co-produced the award-winning film, “Bravo! Common Men, Uncommon Valor.” The film won the best documentary feature prize in 2015 at the GI Film Festival San Diego’s Local Film Showcase. "You're almost alienated from the system ... you can't go to work, you can't drive a vehicle, can't carry a weapon." 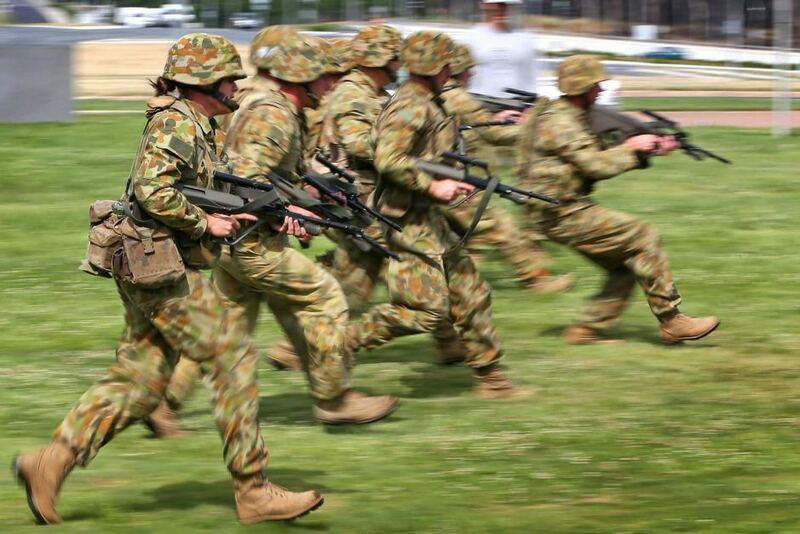 Australian Defence Force (ADF) personnel are being treated in secret for post-traumatic stress disorder (PTSD) and other mental health conditions to avoid jeopardising their careers, according to serving and former members. James (not his real name) has just recently retired from a 25-year career in the Australian Army and said he never told the ADF he had PTSD. "I'd go and speak to professionals outside of Defence," he said. "I'd go see a psychologist and talk to them about what was wrong." The ADF told the ABC in a statement that members were required to tell them if they were being treated outside the ADF system. But James said if he spoke up about his mental illness, he risked his career. Iraq Veteran Proved PTSD to VA But Not Maine Public Employee System? 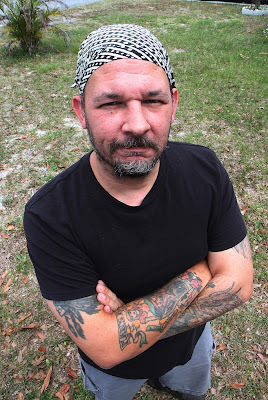 A Veterans Administration determined Couture is 80 percent disabled and provides him benefits, but in December 2014, the Maine Public Employees Retirement System, or MePERS, which Couture paid into as a Marine Patrol employee instead of Social Security, denied Couture’s application for retirement because of disability, despite acknowledging he suffers from PTSD. BRUNSWICK, Maine — The Maine Public Employees Retirement System for a second time denied disability retirement benefits to a military veteran from Brunswick whose two tours in Iraq left him with post-traumatic stress disorder. Scott Couture, an Iraq combat veteran formerly with the Maine Army Reserves, reflects on his service, Feb. 11, 2016, at his home in Brunswick. Scott Couture, a former Maine Marine Patrol warden, was denied when he first applied for retirement system disability benefits after being told he could no longer work as a marine warden because of his condition. Couture appealed that decision, but that appeal was denied in a letter dated April 14 and received by Couture’s family Monday. Couture will appeal the latest decision to a hearing officer, his wife, Darcie, said Monday. The decision devastated Scott, who declined to speak about the denial. The couple was preparing Monday night to tell their two teenage sons that they can’t afford to keep their house. 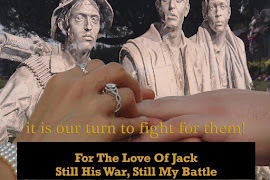 The point that really touched the veterans, Tuccy said, was they have their whole lives ahead of them and PTSD does not have to damage them and their relationships as it did Hacke. Vietnam veteran Richard Hacke (center) holds hands with his brother Robin Hacke (left) and personal caregiver David Pasieka. An article about Hacke published by the Lake County Journal last October garnered much attention from area VFW posts in addition to the Thomah VA Medical Center in Wisconsin. ZION – A story published last fall in the Lake County Journal has helped fulfill an end-of-life wish for Zion resident Richard “Micky” Hacke, a Vietnam veteran who’s suffered from post-traumatic stress disorder (PTSD) most of his adult life. 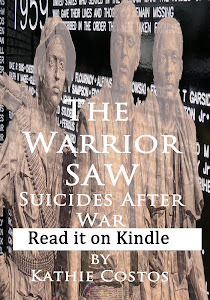 He wanted to speak to the veterans of the Iraq and Afghanistan wars to share his struggles and the mistakes he’s made in life, hoping it would encourage them to seek professional help for PTSD sooner than later. At age 68, Hacke is bedridden and under hospice care for terminal cancer. “It’s too late for me, but not for them,” he said. Hacke, who grew up in Waukegan, enlisted in the U.S. Army when he was 17-years-old. He became a sergeant and served one tour of duty in front-line combat. At one time, Hacke was trapped in a tunnel for days. He also captured 37 enemy prisoners and was awarded the Purple Heart. When Hacke returned from the war, he was in and out of VA hospitals but didn’t receive the long-term mental health care he needed. Things were different back then, he acknowledged, and today’s young veterans have much more help available if they reach out. 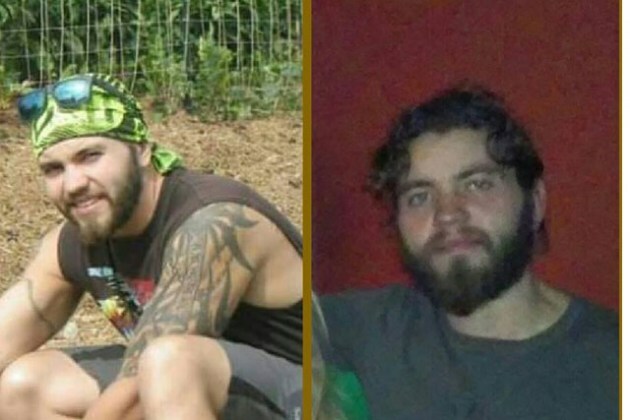 For months after his disappearance, those who knew Adam Sharp — the 23-year-old reported missing on New Year’s Eve — believed he was trying to avoid being found. 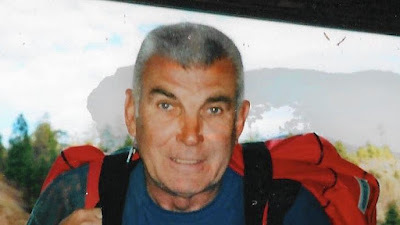 Late last week, police confirmed what the family feared – the retired Marine has died. Authorities have identified the human remains pulled from the Raritan River in Perth Amboy on April 10 as Adam Sharp. His sister, Katie Sharp, posted about the veteran’s death. “I regret to inform everyone that my brother Adam has passed away. I love you so much Adam and I wish I could tell you again what you mean to me,” Sharp wrote in an emotional post late last week. Adam’s mother, Trudy Sharp, told NJ Advance Media Monday that her son retired from the military about a year ago, after serving a tour of duty in Afghanistan. She said he suffered from post-traumatic stress disorder. Sharp told NJ Advance Media that Highland Park Police Detective Sean McGraw visited her personally to deliver the news about her son’s remains being found. Photo: Courtesy of Ray Taylor Ray Taylor in Vietnam in 1967. “I found out many years later that if we hadn’t fired the artillery when we did nobody would have survived the attack,” said Taylor, who was with Bravo Company 1st Reconnaissance Battalion, 1st Marine Division. Of the 62 troops atop Nong Son, 43 were wounded, 13 were killed and only 12 – including Kuchar – could walk. It was Ray Taylor’s last patrol in Vietnam, just before midnight on July 3, 1967. The 21-year-old Marine sergeant should have been sleeping, but he was going home in a couple of weeks and felt a little wired. About a mile and a half away on top of the Nong Son Mountain – the site of the only active coal mine in Vietnam – Marine Corporal John Kuchar was asleep in his bunker when he became involved in the bloodiest battle of his 13-month tour. Kuchar credits Taylor, a Rutgers University-Newark alumnus, for saving his life. 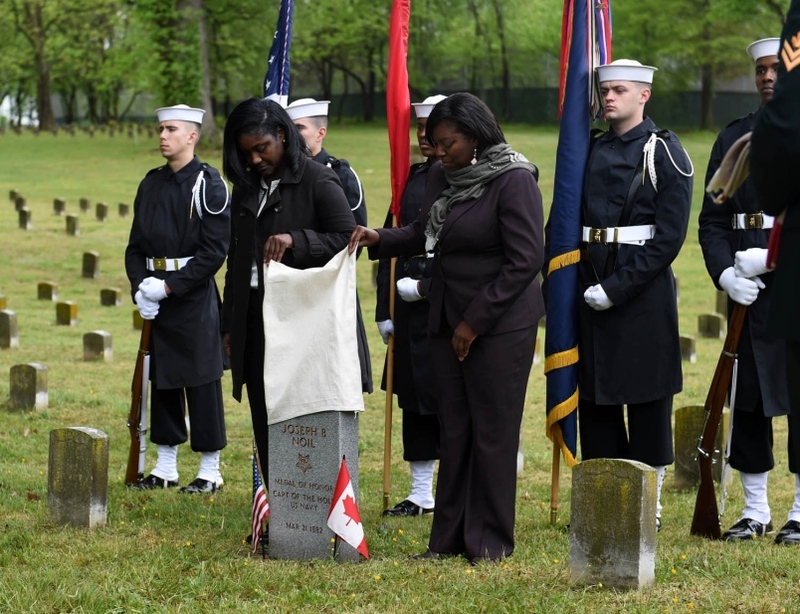 Taylor is among the thousands of Rutgers graduates who have served – and sometimes died – in American military conflicts throughout the university’s nearly 250-year history. He has recorded his experiences as part of the Rutgers Oral History Archives, home to one of the nation’s largest collections of personal accounts. Taylor, who graduated from Rutgers University-Newark in 1971 with a degree in economics, arrived in Vietnam on June 14, 1966 after serving one tour in Guantanamo Bay. 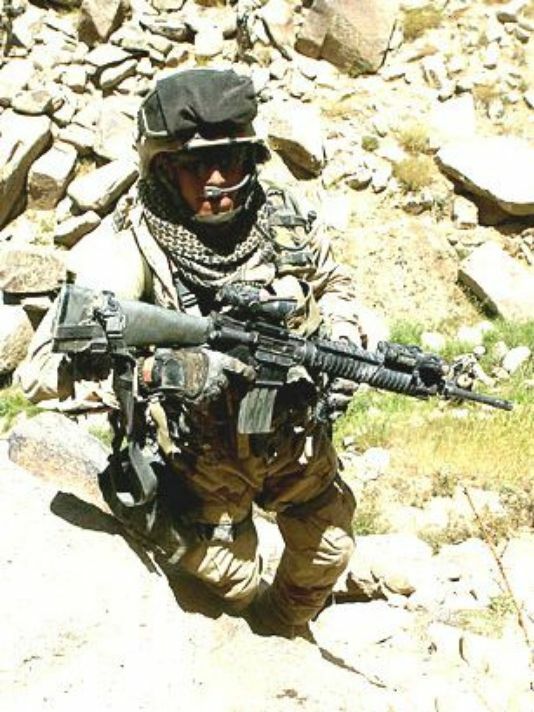 His jobs ranged from a machine-gunner, scout and sniper, to commander of the recon platoon and liaison at the division headquarters. On the night of the attack at the mine, Taylor and another Marine in his reconnaissance platoon were sitting on top of an observation hill located on the other side of the Song Thu Bon River. Recon’s job is to be the eyes and ears of larger units, to find the bad guys before sending in the infantry, and going on to their next patrol. 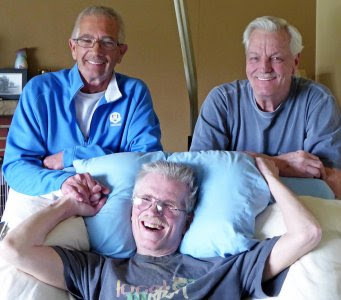 Dennis Puleo, from left, Tom Hanks, Bob DeVenezia (kneeling), and Bob Falk met on Cinnamon Beach April 23, 2016, in Palm Coast, Fla.
PALM COAST, Fla. — They wanted the picture to be just right, to look as close as possible to the one they'd taken together 50 years ago, back when their memories hadn't yet been clouded by the images of war. So Saturday morning, on the sun-drenched Atlantic shore of Cinnamon Beach on Florida's northeast coast, four U.S. Marine veterans gathered around a yellow longboard turned upright, trying to re-create a moment from five decades earlier. Bob Falk, 71, wearing a mirror-image blue-and-white striped shirt, leaned against the longboard's left side, resting his spare hand on his hip. Tom Hanks (not that one), 69, stepped in front of the board and took in a long, deep breath, flexing his still-thick upper chest and sucking in his now-paunchy belly. Finally, Bob DeVenezia, 70, crouched down in front of Hanks, resting his elbows on his knobby knees, feeling Hanks' hands placed on his back. DOD Thinking of Cutting Funding to Stars and Stripes? 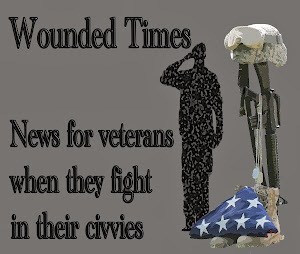 If you read Wounded Times or follow on Google+ you are well aware of how many reports come from Stars and Stripes. Had the national press been interested in what is happening the way Stars and Strips does, then there would be no reason to be upset with the prospect of the DOD cutting funding of it. When I am in work on breaks or lunch, I check Stars and Stripes to see what is going on and then link to their reports so no one misses the news. It is the first place I look when my time is limited because I know I'll find something worth sharing. With the national news the way it is, all too often, they just don't seem to be able to even make time for our troops or our veterans. The Defense Department is considering a proposal to stop funding Stars and Stripes. Such a cut would likely kill the newspaper. It must not be made in haste or in secret. Stars and Stripes receives about $12 million a year in appropriated funding. That’s about 40 percent of its overall budget, according to Stars and Stripes Publisher Max Lederer, with the balance coming from advertising and circulation sales. Of the appropriated funds, $7 million comes from the regular defense budget and $5 million from overseas contingency operations funds — the war budget — mostly to pay for printing and distributing the paper downrange. Some might argue the Pentagon would save money by shuttering Stripes and instead delivering a commercial newspaper to our troops overseas. But those papers won’t come without a price and they won’t be tailored, as Stripes is, to the interests of military readers. The beauty of Stars and Stripes is not just that it’s a daily paper available overseas, but that it’s a daily paper written and edited for military members. Its blend of staff-written articles and news culled from the nation’s leading providers — The Washington Post, The Associated Press, The Los Angeles Times — is unique, and provides depth and balance to military readers. Another difference: Most newspapers endorse political policies and candidates, creating political baggage in the process. Stars and Stripes doesn’t take political positions. Welch served as an Airborne Ranger in the 1st Infantry Division and Special Forces. He spent 31 years in the service and was inducted into the Ranger Hall of Fame. In addition to the Distinguished Service Cross, Welch was awarded three Silver Stars with "V" device signaling valor in combat, two Purple Hearts and the Legion of Merit, among others. Ret. Army Lt. Col. Clark Welch, a Vietnam War hero, died recently in Leesburg and will be buried later in Arlington National Cemetery. Maybe Clark Welch would still be alive today if the U.S. Army had been a little more gentle with that body of his. The retired lieutenant colonel — probably Lake County's most highly decorated veteran — had shrapnel permanently jammed against his chest wall, which didn't help when it came to fighting a debilitating lung disease. 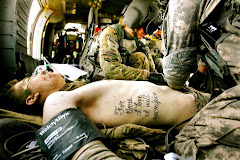 He had no triceps muscle in one arm — it was blown off in combat. And over his 31-year career in the Army, he had broken more bones than his family could count, which took a lingering toll on his 76-year-old body. Welch, an Airborne Ranger who loved his soldiers like a father, died April 12 in Leesburg. The lieutenant colonel owned a piece of history in the Vietnam War that unfortunately was shrouded in lies by the U.S. government until a 2004 book by a Pulitzer Prize winner exposed the truth. For 25 years, the United States had portrayed the 1967 battle at Ong Thanh as a marvelous victory, when in truth it was a heartbreaking rout that left 60 men unnecessarily dead. 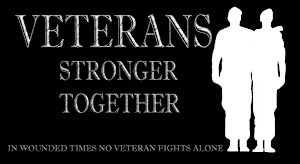 Roger Martin, a U.S. Army Veteran and the group’s founder and executive director, is also calling on Veterans to band together, “like we did when we were in the service.” He believes this strength-in-numbers approach help bring about the changes needed, like making cannabis a legal and accepted part of a Veteran’s medical treatment. While the national spotlight was focused on the festivities of this year’s 4/20 celebrations, a group of Oregon growers are organizing an event to give away free cannabis to Veterans. Headed up by the Portland, Oregon chapter of Grow For Vets, the groups are preparing for their latest cannabis give-away event. Their idea is to bring positive changes to Veterans’ lives through cannabis. On Sunday, April 24th, Grow For Vets will be giving away free cannabis gift bags to its members who register online for the event. Veteran non-members and civilians can join the event as well. The give-away, at Portland’s Refuge PDX center, is just the latest in a series of national events organized by Grow For Vets and meant to draw attention to the dilemma of America’s military Veterans. The Marines' top general selected Chief Warrant Officer 3 Anthony Viggiani as the next Hulbert Trophy recipient a decade after the gunner's leadership on the battlefield earned him the nation's second-highest valor award. With bloodstains visible on the lower portion of his left trouser leg, then-Sgt. Anthony Viggiani pauses to look at the camera moments after a fierce firefight with anti-coalition militia in central Afghanistan. Viggiani, now a chief warrant officer 3, was selected as the 2015 Gunner Henry Lewis Hulbert Trophy for Outstanding Leadership. Viggiani will be receive the Gunner Henry Lewis Hulbert Trophy for Outstanding Leadership for his contributions at Advanced Infantry Training Battalion, School of Infantry – West, where he trains Marines responsible for creating the next generation of infantrymen. The annual accolade is presented to the infantry weapons officer who "most exemplifies outstanding leadership, courage and technical, tactical and doctrinal expertise within the Marine gunner community," according to the award criteria. The Hulbert Trophy is named for Capt. Henry Lewis Hulbert, a prior-enlisted Medal of Honor recipient who served in Samoa and World War I and is considered the Marine Corps’ first gunner. He was killed in action during the famed battle of Blanc Mont Ridge, France, on Oct. 4, 1918. Hulbert was 51 when he died, and was posthumously awarded the Navy Cross for actions in Chateau-Thierry, France, on June 6, 1918, when he "constantly" braved enemy fire "without regard for personal danger, thereby assuring the delivery of supplies." 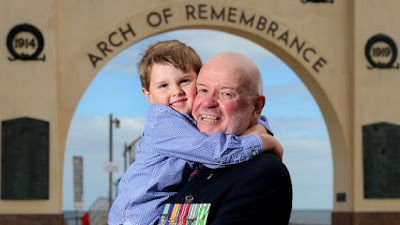 Vietnam vet David Everitt at the Brighton Arch of Remembrance with his grandson Brodie, 3. Pic: Tricia Watkinson. VIETNAM veteran David Everitt says he’s just an ordinary man who did his duty but is proud to call himself a Digger. The RSL Board director and Veterans Advisory Council member was a founding member of the Australian Psychological Operations unit (PSYOP) — colloquially known as the “Bulls. t Bombers” — during 13 months of service in Vietnam between 1969-70. 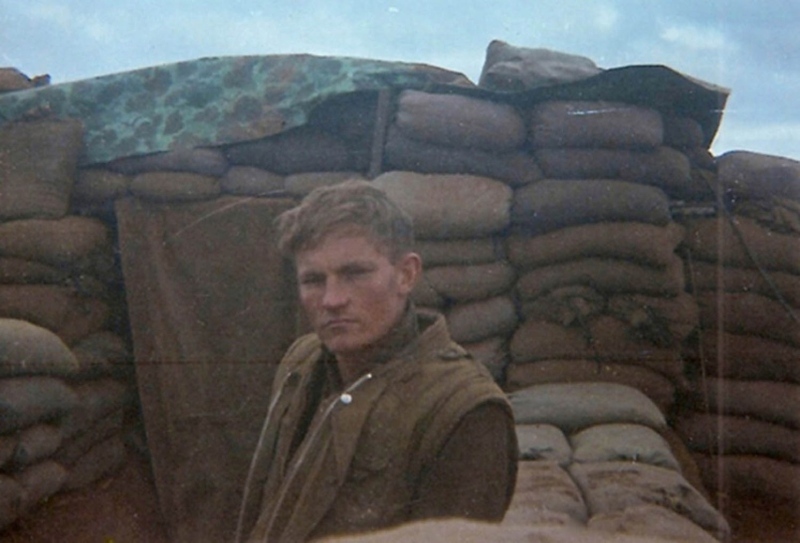 “It was our job to conduct psychological warfare on the enemy by dropping pamphlets from the sky by day and playing loud music at night to encourage them to surrender,” said the 67-year-old, who also served with 9th Battalion, formed in Adelaide in 1967. “We were in these light aircraft, at 2000 feet (65m), lights out, playing eerie, ghostly music in the middle of the night. It certainly scared me. “Nobody knew we were up there and I reckon our own side took a few pot shots sometimes. Homeless Veteran Booted From College Campus Because of How He Looked? 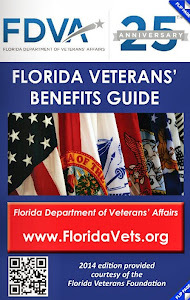 "José Antonio Hernandez, 41, told officials he is a homeless veteran living at a residential center in New Port Richey paid for by the Department of Veterans Affairs while attending classes at the college through VA benefits. Describing himself as “scruffy,” he said he is being discriminated against because of his appearance." And this is the homeless veteran trying to make his life better by going to college. “I will remind you at this point that I am a registered student attending classes and have only had to endure this treatment because of the ‘way I look,’ ” Hernandez says in the grievance. A woman is dead and her husband hospitalized in extremely critical condition after what a sheriff’s spokesman called an attempted murder-suicide at their Graham home. A 4-year-old girl called 911 shortly after 8 a.m. Saturday to say her parents were on the floor after a problem at the house in the 19400 block of 91st Avenue East, said Ed Troyer, spokesman for the Pierce County Sheriff’s Department. Investigators learned the man, 36, a former member of the military, had just been fired from a hospital job while suffering from post-traumatic stress disorder, Troyer said. While national media reporters have been interested in are easy stories to report on, the truth on combat and PTSD is still true but they prefer to sit back and let veterans fall off the face of the earth instead of telling them what they need to hear. When the earth was still round, some folks thought it was flat. It didn't matter that others knew our planet was round and the masses were wrong. It was what it was while most just believed what they wanted to. Wounded Times has been up and running since August of 2007. 26,246 post later I was reading a headline from Canada about how we fail our service members and veterans. "U.S. ignores trauma of returning soldiers at its peril, warns PTSD specialist" and it sounded familiar. The words "warn" and "peril" smacked me in the head, so I started to search for had been posted. I found it within the list of posts from the first month Wounded Times published. The national press is still doing a lousy job of reporting. They allow the DOD to make any claim they want to instead of asking them questions to prove what they say is true. Failure to know the facts before reporters conduct interviews has perpetuated the anguished outcomes of millions of veterans. What makes all of this worse is the simple fact that as the number of civilians committing suicide in the US has gone up, the "efforts" to prevent them among service members has failed. These same people were were willing to die for someone else yet cannot find the one single reason to survive as a veteran after surviving combat. U.S. suicides have soared since 1999, CDC report says was the headline on LA Times. There are two parts of this that need to be considered. All told, some 42,773 Americans died of suicide in 2014, according to the Centers for Disease Control and Prevention. That made suicide the 10th leading cause of death for all ages. And then there was this part. Among all women younger than 75, suicide rates grew across the age spectrum. But in the age of greatest vulnerability--women between the ages of 45 and 64--the rate of suicide in 2014 vaulted 80% higher over 1999's rates. 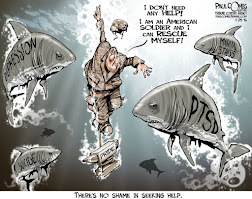 Some are already pointing out that civilian suicides have gone up so suicides tied to military service going up is just a reflection of society in general. Simple logic however far from an informed conclusion. Since 2007 the military has been claiming they have been training service members in preventing suicides. After spending billions, suicides have increased yet when asked to explain, they never seem to mention how their "efforts" have failed. They simply point out the civilian rates, totally ignoring their own mental health failures. Breaking it down, we have pre-enlistment evaluations. Recruits have to be physically fit as well as mentally fit. When you read the DOD saying that most suicides occurred without deployments, that actually translates to a massive failure in the testing. If the testing isn't good enough to spot mental illness, then how good can their psychological treatments be? With all the training all the recruits get on "prevention" if it has not worked to prevent them from committing suicide, then how did the DOD expect that training to prevent service members with multiple deployments from ending their own lives after surviving combat? We see what happens when they leave the military but the DOD has not had to answer for anything that happens to veterans. Not that they would be prepared to even acknowledge the fact they were trained to live by them. The VA gets all the blame but no one is looking at the original source of the suffering within the DOD. The CDC report also stated that suicides are more tied to depression. You can't get more depressed than to have risked your life in the military, then end up being told you are mentally weak if you are suffering for it. Middle-aged women, between 45 and 64, had the highest suicide rate among women in both 1999 and 2014. This age group also had the largest increase in suicide rate: 63%, from 6 to 9.8 per 100,000. The 45-64 age group also had the largest increase in suicide rate among men: 43%, from 20.8 to 29.7 per 100,000. Men 75 and older had the highest overall suicide rate, even though it decreased from 42.4 to 38.8 per 100,000 between 1999 and 2014. The total number of suicide deaths was much greater in middle-aged men than this older group because the population of middle-aged men is so much larger, Curtin said. Then we have that simple fact all the "awareness" folks avoid mentioning. 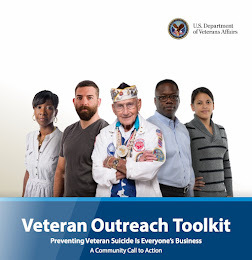 Most of the civilian suicides are among seniors and that includes veterans. 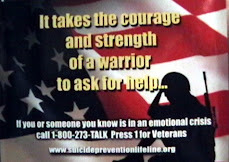 Almost every state is reporting veteran suicides are double the civilian rate, so when you read the staggering numbers, consider that simple fact, especially when you hear the number "22" reported as if they have a single clue because they have failed to read the report from the VA to begin to understand that number made a great headline but left out far too many suffering. That report was up to 2010 with limited data from just 21 states. With all that out of the way, here is the article that stared all that this morning. Not a good way to walk up but shows it is past time for this country to wake up. The report came out of Canada. Dr. Bessel van der Kolk shakes his head when he hears U.S. presidential candidates trying to out-pledge each other in hunting down ISIS militants. His response is as simple as it is heartfelt: "Oh, no. There's going to be more war and more trauma." Van der Kolk is a psychiatrist and the medical director of the Trauma Center in Boston, and the bestselling author of The Body Keeps the Score. He believes there's a growing crisis in the United States that warrants a broad public debate, but he knows it won't happen. "It's very painful to hear what's not being talked about," he said. "You need truth in packaging before you send people off to war." Van der Kolk says the prospects for Americans coming home after serving in Afghanistan, Iraq or other conflict zones are grim. A large proportion of them are unable to work, and rates of post-traumatic stress disorder and suicide among veterans are worrying. Many returning service members end up drawing their families into their own trauma, but the military has little in the way of support for those relatives, so the cycle of trauma continues. Van der Kolk calls it a national crisis that the U.S. is not willing to face. "It has certain implications of taking care of hurt and wounded people that would involve some societal transformations which America is not ready for — yet," he said in a three-part series on CBC's Ideas. The truth is, they can heal but first they need to know a few things, much like the earth is round. 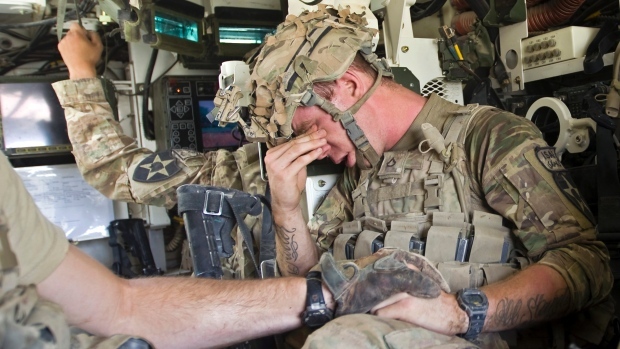 Many veterans know healing first requires an understanding of what PTSD is and why they have it. Then they need to know it begins in their emotional core. The stronger that is, they more they feel. 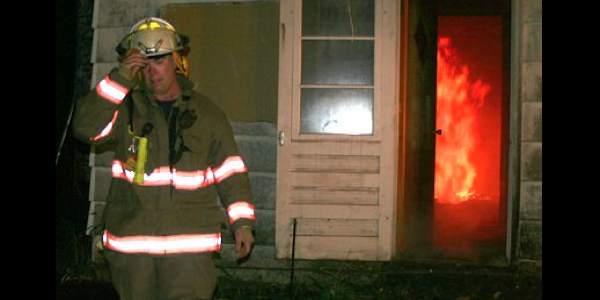 The very thing that allows them to risk their lives for others is where PTSD strikes. The more they are able to feel, the more they are feeling a deeper level of pain. 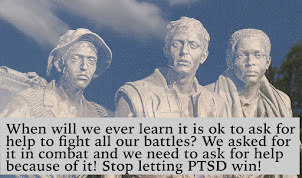 Yet with all we've known over the last 40 years, far too many still believe PTSD is a sign of some sort of weakness instead of the strength within them. That simple fact is just about as important as telling the truth the earth is round when faced with foolishness.